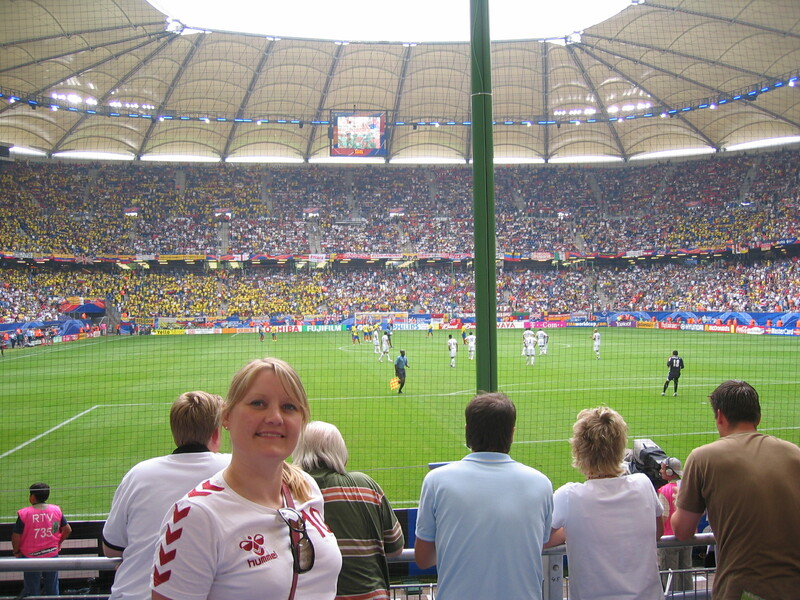 During the 2004 European Football Championship, I was so lucky to be invited from my employer to watch Denmark play against Bulgaria. This was not the first Danish national match I have seen live, but it was the first one during a final round for a championship – truly a fantastic experience. All my colleagues and not only the Danish, also a good handful of other nationalities, were dressed in red and white to cheer for the Danish dynamite team. On my travels I have attended many other sport events. I think it is a great way to experience another culture, since sports can often be just as religious and important for the nations people as well… religion. Football (or soccer for my american readers) is one of my favourite sports to watch (I’ve even played it myself when I was a teenager). So where did I go and what did I see – I will here mention some of the more memorable. Stamford Bridge hearing the Chelsea FC fans sing for their football players throughout the entire match. At the Hamburg stadium where I have watched the local football team HSV play several times, but where I also attended a match during the 2006 World Cup – Ecuador against Costa Rica. This World Cup in 2006 was all together a good example of what a big sports event can do to people – the entire Germany was one big party for the couple of weeks the tournament was on. 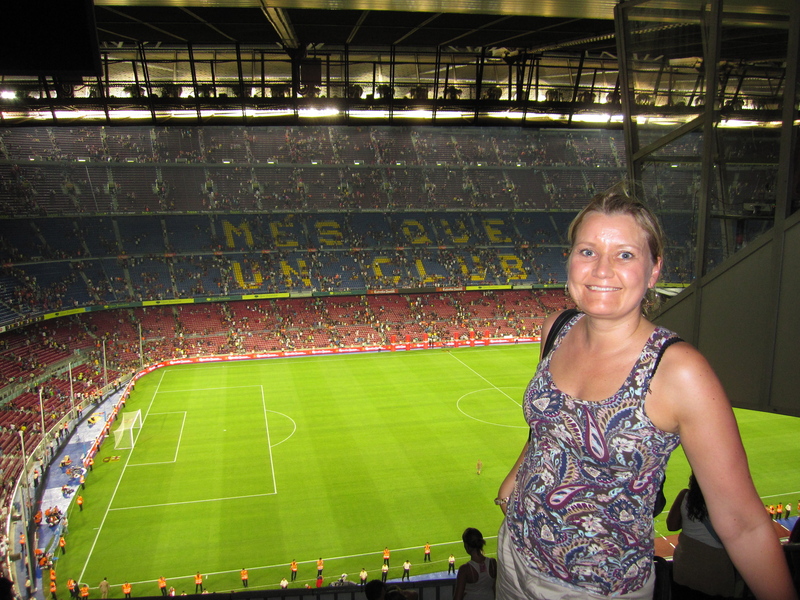 Last year while I visited Barcelona, I got goose bumps when Messi and all the other top football players were running on the field. FC Barcelona won 5-0 over Napoli and therefore the Joan Gamber trophy, so another reason to smile. Apart from football, I also attended other live sport events. Several handball matches in the best male league in the world. I tell you those handball arenas in Germany can boil and my favourite team is SG Flensburg-Handewitt. 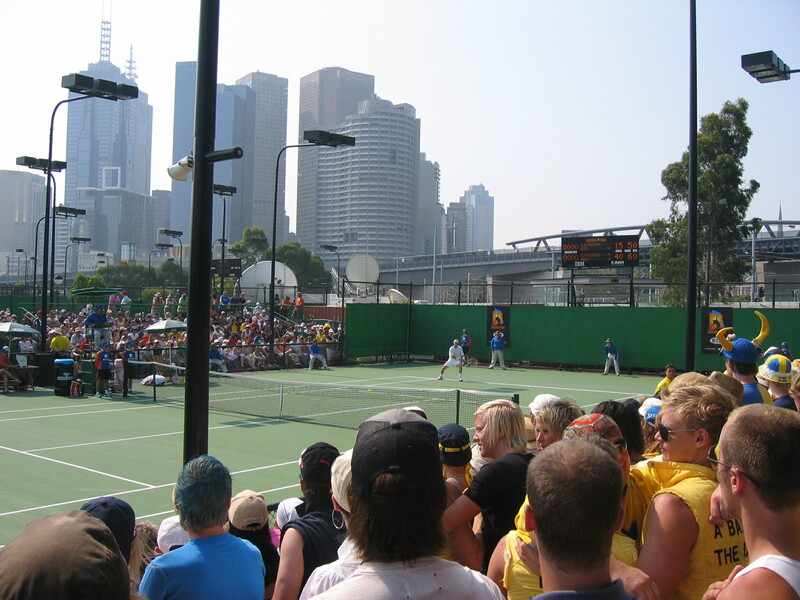 I was luckily in Melbourne during the tennis grand slam Australian Open in 2007 and with a day pass it was possible to see some of the worlds great tennis players. Also the evening ski jumping at the FIS Lahti Ski Games in 1996 will never be forgotten. 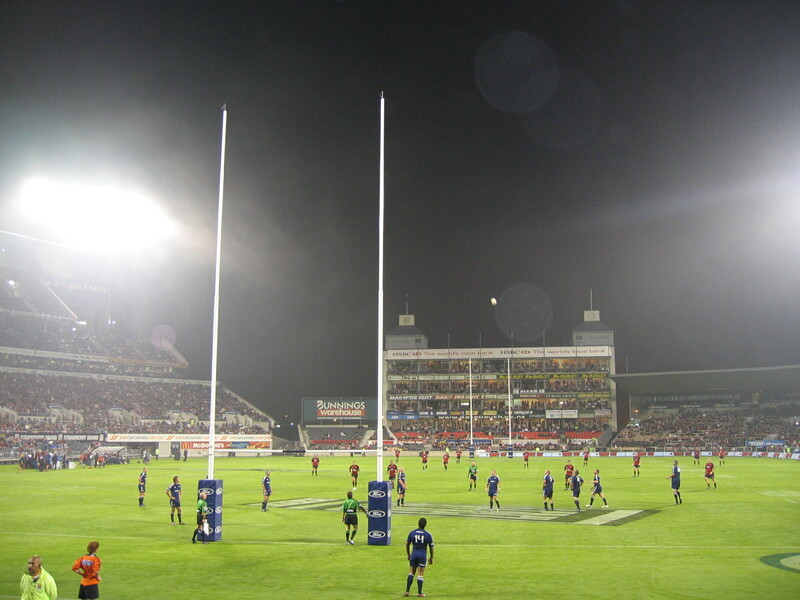 Or the rugby match with one of the best teams in New Zealand – Crusaders. So I can only recommend to look out for a sports event while travelling. Pick one of interest or choose the national sport. Nomatter what I can almost guarantee that it will be fun. © Kirsten Hjorth Rasmussen and Circumnavigator Blog. Unauthorized use and/or duplication of this material without express and written permission from Kirsten Hjorth Rasmussen is strictly prohibited. Excerpts and links may be used, provided that full and clear credit is given to Kirsten Hjorth Rasmussen and Circumnavigator Blog with appropriate and specific direction to the original content.